Orders may be made by regular mail, fax, phone or e-mail. If this is our first transaction, it would be helpful if you would fill out the Secure Interactive Order Form using the inventory number preceding each lot, although other brief details are helpful to ensure accuracy, e.g., "CSA 5a used". Filling out the form helps ensure that I get the proper information recorded in my system. This does not preclude you using the phone or email to order. It just helps me help you better. Payment with order is expected. 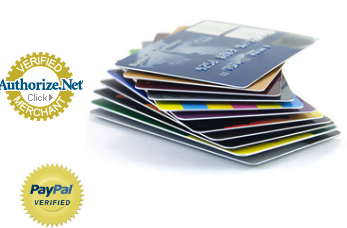 Payment by cash, check, money order, credit card or PayPal in U.S. dollars only. 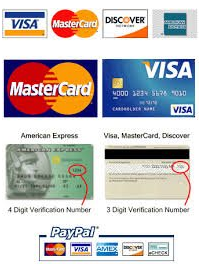 If you request PayPal on the Secure Interactive Order Form I will send you an email invoice with a link to the PayPal payment processing site. I am PayPal verified. The order form is completely interactive and secure for credit card payments. I accept Visa, MasterCard, Discover and American Express. Your order will be tallied and, if you are a CSA member, your discount will be automatically figured as well when you click "apply discount." You will need your CSA member number for the form. All orders are acknowledged. If you didn't get an acknowledgement, I didn't get the order. Buyers known to me will have material shipped immediately. If unknown to me, please submit two commercial references, as well as appropriate membership information, i.e., membership numbers in CSA, USPCS, APS, CCNY, etc. References should preferably be nationally or internationally known dealers or auction houses. If a local or regional dealer, please provide full contact information. Discounts: 10% discount will given to CSA members on Confederate stamps and covers. Don't forget your membership number. If you fill out the Order Form, the 10% discount will automatically be deducted but you must have your CSA number. There is no discount on books or the occasional consigned item (very seldom). Care with order form entry: Because of recent changes with PCI compliance, if you use the order form, I never see your credit card information. I cannot verify the inventory numbers, prices and total on the order form. If you check "credit card" as your payment method, the charge is run automatically through Authorize.Net for the amount you entered. I will still check to make sure nothing is amiss with the order and total, but the charge will already have been run. Save us both the hassle of after the fact corrections by ensuring you enter the item number, price and total correctly. Layaway: I offer layaway terms of 30-60-90 days for those larger "must have" purchases. If you need special terms, let's talk. For 3 monthly payment layaway plans, the cancellation fee is 10% of the original order total. For 6 monthly payment layaway plans, the cancellation fee is 20% of the original order total. If you cancel an order and funds and energy have already been expended to fulfill your order, a restocking of 5-10% of the order may be applied on a case by case basis. If you are a dealer and not known to me, please inquire as to discount. No resale number, no dealer discount. If you are not an ASDA, NSDA or APS dealer member, please provide your resale number, business card and any other dealer organization membership information. You need not be a dealer to buy from me, just to get a dealer discount. Most of my clients are collectors. 1. All shipments are privately insured at no additional charge. 2. All orders valued UNDER $100 that are not over-sized, add $1 for shipping within the U.S. and $3 outside the U.S. All orders within the U.S. are sent by First Class mail. Orders outside the U.S. are sent by Air Mail. 3. All orders valued between $100 and $400, add $4.50 for shipping (sent USPS by First Class Parcel with tracking). 4. All orders valued under $400 that contain items that will not fit into a standard #10 envelope / small mailer, add $5 for oversized lots within the U.S. and $6 outside the U.S., assuming flat shipment. Extremely large items, such as over-sized sheets or other items that require tubes, may cost more. Inquire if extra charges apply. 5. Orders valued in excess of $400 but less than $1,000, add $11 for PRIORITY CERTIFIED MAIL within the U.S. First Class Certified mail is no longer an option. There are too many issues with significantly delayed deliveries or mail caught in annoying mail loops. 6. Outside the U.S., orders valued in excess of $200, add $20 for registered mail Depending on location and order value, Global Express Mail, US Express Mail or FedEx is recommended - far pricier, by country, but safer and faster. 7. For orders valued at $1,000 - $25,000, add $26 for Priority Express Mail within the U.S. Priority Express Mail is overnight or two days to smaller post offices. Direct signature is mandatory in order to be covered by my transit insurance policy. 8. Orders of any value may be sent by Federal Express at your expense but must be charged to your own FedEx account. Direct signature is mandatory in order to be covered by my transit insurance policy. Federal Express will not deliver to post office boxes. 9. Orders valued $25,000-$50,000 may be sent by Federal Express,Global Express Guaranteed or Priority Express Mail. Please inquire on orders valued at $50,000 or more. Shipping Limitation: Packages worth $1,000 or more will not be shipped on a Friday, Saturday or over a holiday weekend owing to transit insurance restrictions due to greater chance of loss as figured by actuaries. Return Policy: Any lot ordered that does not meet with your approval may be returned within 15 days (30 days if overseas) for full refund of purchase price. If you aren't happy, I'm not happy. All lots are sold as genuine unless otherwise stated. The Confederate Stamp Alliance Authentication Service is opposed to the slabbing of Confederate stamps. Stamps purchased will not be accepted for a return for reasons of grading as the stamps are not sold per the PSE grading system. Stamps purchased from this website and subsequently slabbed by the PSE after purchase will not be accepted as returns for any reason. Expertizing Policy: If you wish to obtain a certificate of authenticity, I accept the Confederate Stamp Alliance Authentication Service (CSAAS) on Confederate items (I am a member emeritus of that group and still offer consulting service to them, but recuse myself from opining on any item which I currently own or have sold at any time in the past). Although I prefer the CSAAS for obvious reasons of allegiance, I will also accept opinions from the Philatelic Foundation. Lots must be paid for in advance and prompt refund will be made if determined other than genuine. Lots sold "as is" are final sales and will not be granted expertizing privileges. Expertizing fees will be refunded if not as described. Lots that have certificates issued within the past five years are not eligible for expertizing except in extraordinary circumstances. Prior discussion and agreement is necessary. All lots are subject to prior sale. Placing an order constitutes acceptance of stated policies.